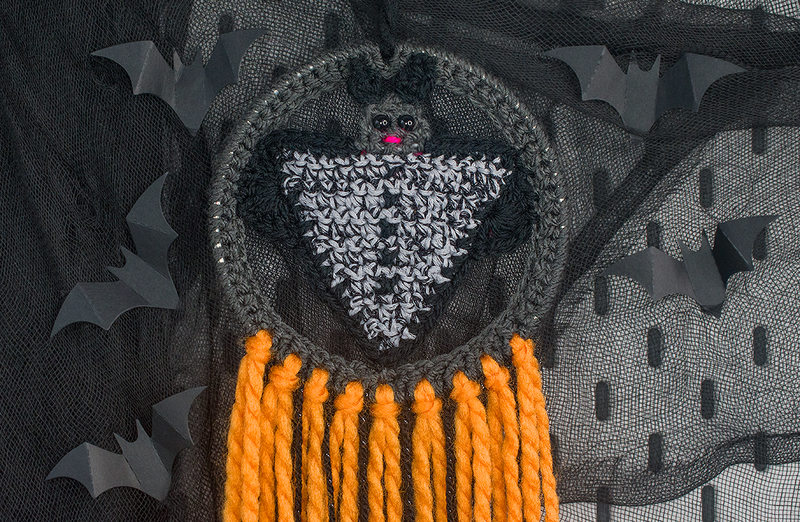 With Halloween coming up soon I’ve been working on some crocheted bat dreamcatchers to go alongside my skull wall hangings which are currently for sale in my Etsy shop, the pattern is for sale too for anyone wanting to make one themselves. I love bats, in fact I have one tattooed on my chest! I started by crocheting a triangle, then adding some wings and a face / ears. Some of them have safety eyes and some of them just have stitched eyes. I used a tiny bit of pink yarn for the mouth. 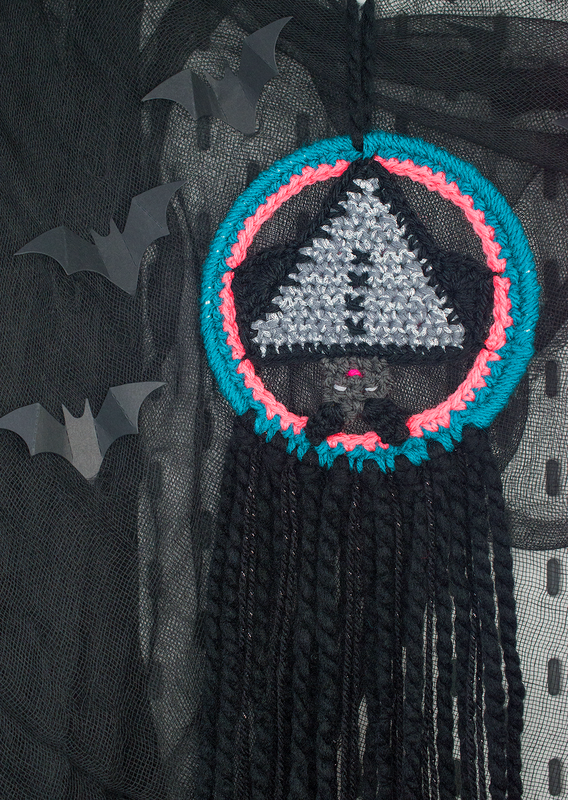 Then I crocheted around the outside of a dreamcatcher hoop before sewing on the bats and adding some tassels. Each one is slightly different giving them their own individual look. 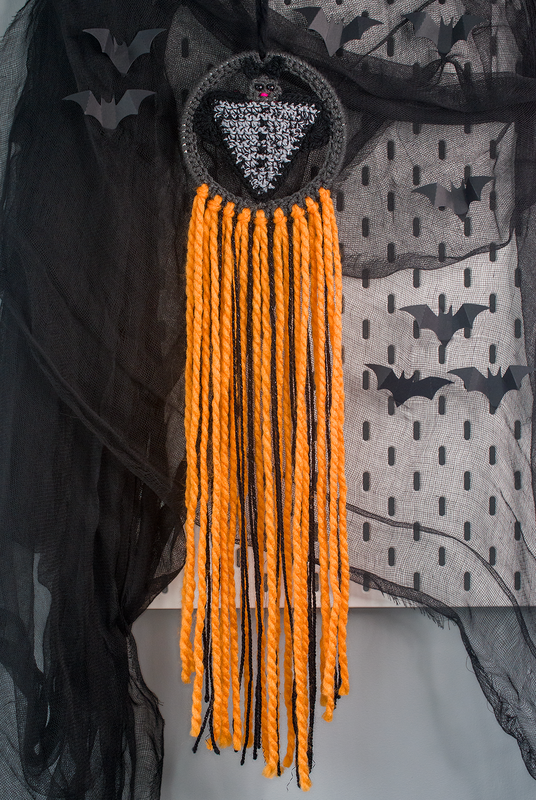 I’ve also added some of the bats right way up and some of the bats hanging upside down. I’ve had great fun making these and I got to try out some new Paintbow yarns too (kindly sent to me by Love Knitting), they have added a metallic DK to their collection which is awesome, it comes in some great colours. 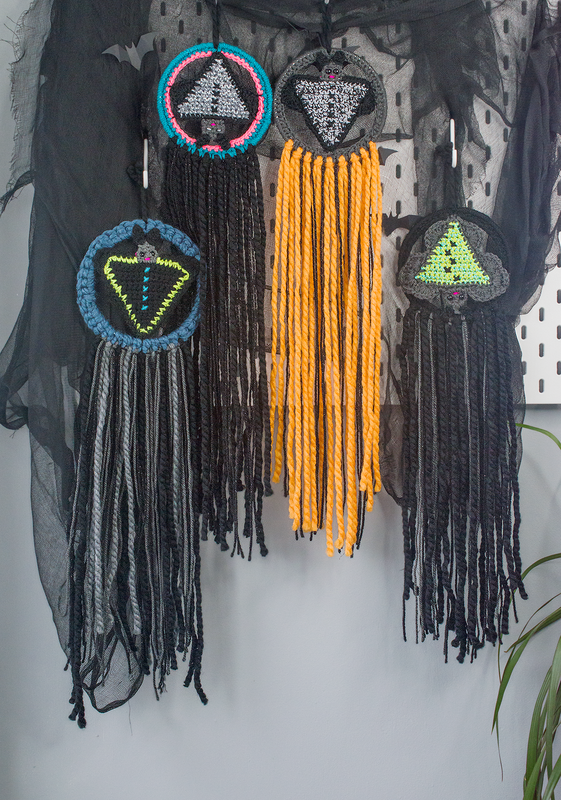 I used Appletini, Sidecar and Dark & Stormy for these dreamcatchers but I also have Tequila Sunrise and Pina Colada which I’m going to be doing something with soon. 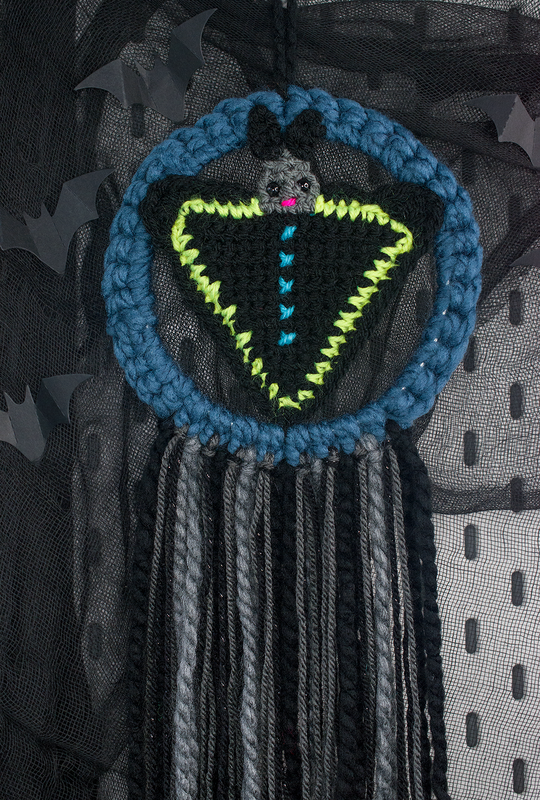 I also used Neon Pink, Marine Blue, Neon Yellow, Granite Grey and Pure Black from their Simply DK range. And if you knit instead of crochet then you can check out their new tool which allows you to see how much time it will take you to knit something, it means you can make sure you have any knitted Xmas presents ready in time. If you like these dreamcatchers then keep an eye on my Etsy shop because I will be listing them soon. I could also write up the pattern if anyone is interested. AWESOME ART AND CRAFT WORKSHOPS IN WEMBLEY PARK THIS AUGUST! !